While everyone else was talking Miley Cyrus this year, we here at Permanent were talking fuzz! Not the peach stuff on your bratty nephew’s upper lip, the kind that only comes from the gnarliest of distortion pedals. Fuzz has been around for ages, but it’s been years since so much fuzz has been released on vinyl. Sadly, most of it came from overseas. Two new UK labels released some of the best fuzz-laden records of the decade and they weren’t shy about it either. Cardinal Fuzz and Fuzz Club collectively released 13 slabs of thick, distorted limited edition vinyl this year and I think all of them are worth your attention. A new band by an old friend reared its fuzzy head this year as well. Ty Segall’s Fuzz snuck their debut single out in late-December of 2012, but they’re still getting the honor of best new band of 2013! Ty plays drums in Fuzz, but I wouldn’t be surprised, if his Death By Audio Fuzz War pedal was used in the making of the band’s four records released this year. Got a spare 80 minutes? Then saddle up and buckle in cuz the Glaswegian star cruisers Cosmic Dead unleash four side-long pieces of interstellar, head nod, psych rawk brilliance. Hell, sides three and four are one goddamned track! Cosmic Dead crank up the volume and let loose slow burn space rock that takes the listener on an extended tour of the universe with wailing fuzz guitar, snaking bass grooves and precision drumming. Janitors are bringing slow burn, fuzzed out, desert rock psychedelia and they are bringing it big! 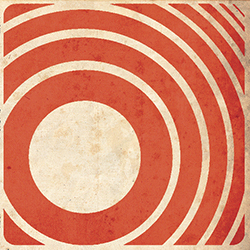 Drone Head is top-notch spacerock/shoegaze/psychrock from start to finish. An album of steady head nod rockers with fried guitars, pounding drums, searing drones and down in the mix vocals is what one will find on Drone Head. So, if you dig the above mentioned Loop, Spacemen 3 and JAMC then grip this one now. Hills freakout psychedelia is alive and burning! This live testament is a fuzzed out drone ceremony of heavy psychrock a la late ‘60s/early ‘70s hypno love-in happenings. Another album of pure win all the way through. If you were fortunate enough to snag a copy of their Oop LP Mas Fiestas con el Gruppo Vision Fortune on Great Pop Supplement then you know what the score is — intense, hypnotic and repetitive grooves that ooze into your earholes like the sweatiest of peyote-fueled bad trips. Sun Behind The Sun is a spectacular work of tension and release. Three gargantuan tracks unfold with swirling electronics, snail paced guitar work, subtle drumming, washes of cymbals to create worlds of their own. These cuts float along, yet convey an ominous vibe while the hypnotic sonics slowly engulf the listener with wave after wave of spiraling kosmische splendor! This UK act nicked the title of their record from the William Burroughs novel, a sly move that quickly caught our eye and piqued our interest. Dead Rabbits are plying the mid tempo psychedelic shoegaze sounds in the tradition of groups like Loop, Swervedriver, Black Angels and Spiritualized with a classic ‘60s tambourine stomp added to the soaring guitars and distorted bass. Lush vocals and a steady backbeat combined with droning keyboards added to the mix make for a seriously slick album of buzzing shoegaze strutters. This album comes housed in a full color gatefold sleeve and clocks in at just under 45 minutes. The Ticket That Exploded takes its time and stretches out letting each track apex and burn out to its natural conclusion. Gleaming guitars, thick sustained bass lines, a steady beat, shimmering keyboards and breathy almost whispered vocals drive this record of slow burn spiritual psychedelia. Hints of Spiritualized, label mates Singapore Sling and Underground Youth, a touch of the Bad Seeds dark beauty and nuance is making for some lovely listening indeed. 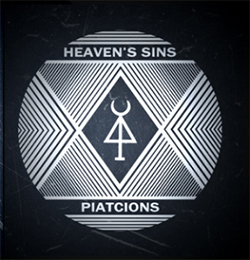 The Third Sound Of Destruction And Creation is a hand-numbered edition of 250 on thick black wax. Perfect Enemy For God finds Underground Youth honing in further on their sound with lush production work, dreamy blurred vocals and sophisticated dynamics ushered into their late night psychedelic invocations. Perfect Enemy For God is uber limited (300 copies) and comes pressed up on some thick high quality wax. 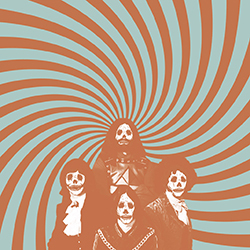 It’s not just Brian Jonestown Massacre that’s stoked about Black Lizard, count us in too. Their garage cavestomp approach to blistering psych rock reminds us of Black Mountain, Cosmonauts, the Warlocks and Comets On Fire all swirled into one heady mix of feedback and guitar fireworks. 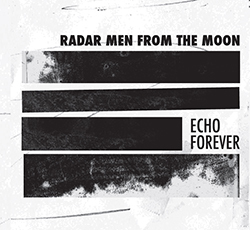 Radar Men From The Moon is a space rock trio from the Netherlands who dish out high-energy psychedelic sonics. They’ve got mind twisting electronics jamming enemy signals as the guitar scorches like so many solar flares while the drums and bass keep the coor-dinates on path to the heart of the sun and beyond. These six instrumental jams explore the deepest realms of the universe with lots of quality grade fuzz and orbital splendors bringing’ pleasing sounds to your ears. Fans of Earthless, White Hills, Lumerians, Cave, Telescopes, Oneida and Mugstar best hop on this voyage into groovy territory. At the end of 2012, Ty Segall promised to “slow down this year.” By “slow down,” Ty actually meant “form a new band called Fuzz, release two singles and two LPs, tour a shitload, put out a solo record unlike anything he’s ever released, tour on it, and sneak out a couple reissues and an LP of “Twins” demos. I can’t fathom what “kick it up a notch” might mean to a guy like Ty. Fuzz’s debut “This Time I Got A Reason” single came out in the waning weeks of 2012 and the first pressing of 500 copies was sold out by 2013 and fetching insane amounts on eBay less then a month after it’s release. Thankfully, Trouble In Mind has repressed it and it’s available again for a reasonable price, with a different sleeve variation and on black vinyl, mind you. The follow-up singles, “Sunderberry Dream” and “Sleigh Ride” came out and went out (of print, that is) in just a few months and the highly anticipated, eponymous Fuzz LP was on our decks just a few months before New Year’s. And if that weren’t enough, Mr. Oh Sees himself, released a monster Live In San Francisco LP on his own Castle Face imprint. Fans of vintage heaviness a ‘la Blue Cheer, Black Sabbath, and King Crimson (Fuzz covers “21st Century Schizoid Man”) will dig Fuzz…like, for sure, maaaaaaaaaaaan. diksplayed in the article I looked at. And on this article THIS REISSUE OF A CLASSIC RECORDING IS SOMETHING TO GET JAZZED ABOUT | RECORD COLLECTOR NEWS. remarks coime across as if they are written by brain dead people? 😛 And, if you are posting at additional places, I’d like to follow you. like your Facesbook page, twitter feed, or linkedin profile?